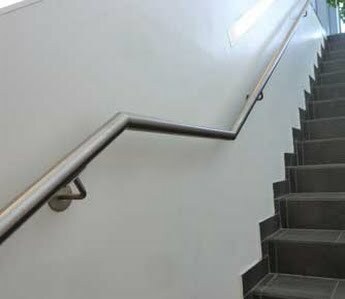 Hobbs & Porter manufacture bespoke stainless steel 316 grade internal handrails for use throughout the UK. Stainless steel tubular steel handrail leading to offices in car showroom. 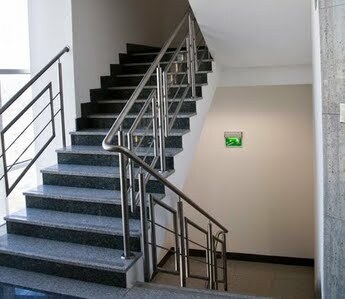 Tubular steel stair handrail leading to rooftop restaurant. 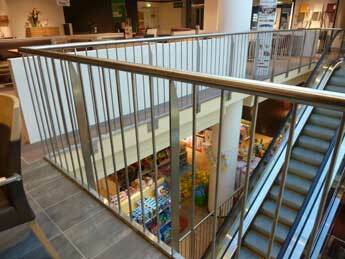 Stainless steel angled balcony handrail in department store. 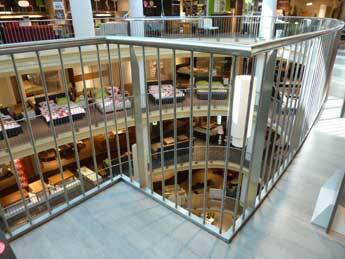 Stainless steel curved balcony handrail in department store.